The Metric O-Rings Kit is similar to our 500 piece Metric Kit, except this version features a different assortment of sizes. It includes 385 O-Rings in 30 popular metric sizes, but instead includes O-Rings with a 2mm minimum cross-section. 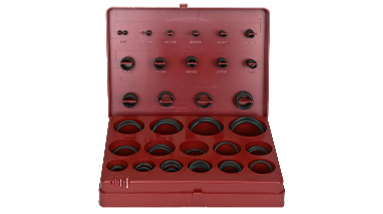 This metric O-Ring assortment is offered in either 70 or 90 durometer nitrile.